This was a new plan that I created this year that went along with our behavior management program that we use schoolwide, Capturing Kids Hearts. 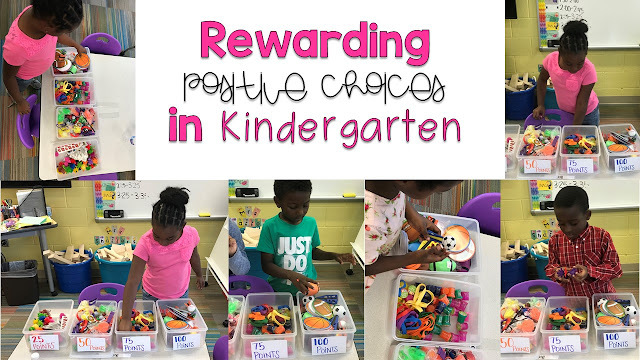 In kindergarten, I felt as though there was some need for extrinsic rewards as well as many intrinsic rewards each day. Within our social contract, we prided ourselves in being kind, showing respect and following directions daily. When those agreed upon rules were followed students would get green points. When they got enough green points, they would get to go to our TREASURE! 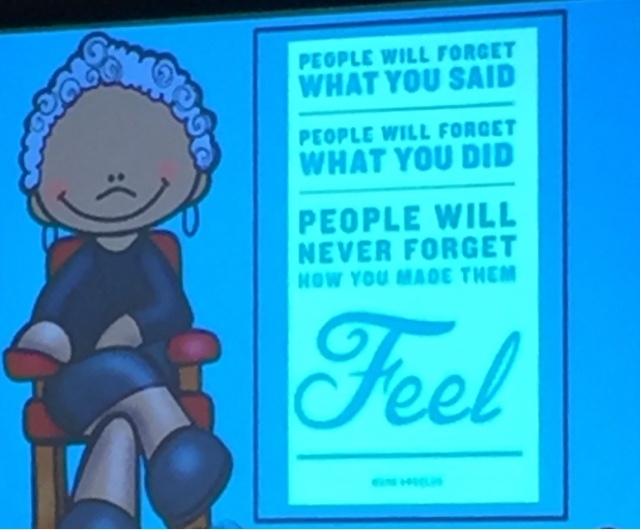 As a part of Capturing Kids Hearts, there should be posted rewards and consequences within the classroom. Students knew that their Class Dojo points earned them fun individual incentives as well as whole class incentives. I divided the amount of points as follows and made sure students were earning something for positive behavior atleast bi-weekly. Students came up with class rewards as a class so there was buy in! The best part was that Oriental Trading sent AMAZING treasure that lasted us the whole year! You can find all of the FUN, engaging rewards right HERE!. I hope this system helps you develop a reward system in your primary classroom of intrinsic and extrinsic rewards! And remember that Oriental Trading has amazing treasures at a great price! 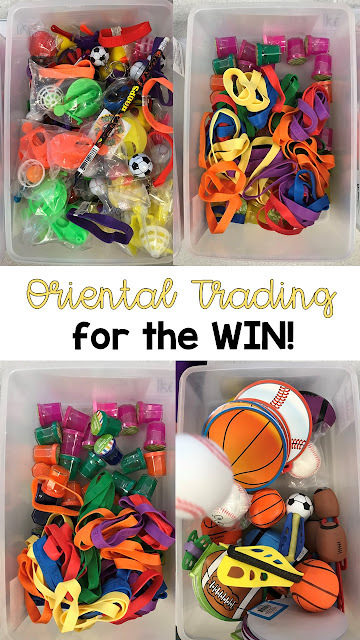 Even parents can donate some Oriental Trading treasures to your students! You can grab a gift card right on their website! 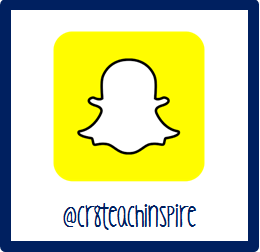 Have a wonderful, happy, engaging, exciting year with your littles! 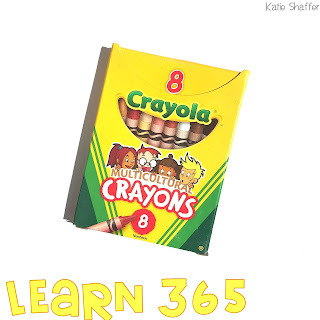 I had the opportunity to check out some new Learn 365 products and I am super excited to bring my ideas to ya'll to implement with these products in a primary classroom! 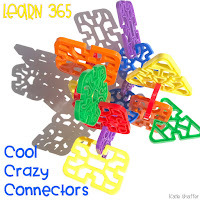 Learn 365 is a new part of Oriental Trading; it is specifically geared toward teachers and out needs in our classroom. How amazing is that!!!?! As you read this post, there are many clickable links. 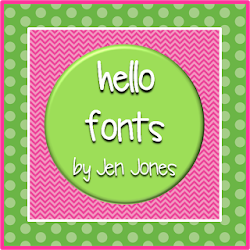 Check them out, so you can grab these items for your classrooms too. I want to start my post with these Cool Crazy Connectors. 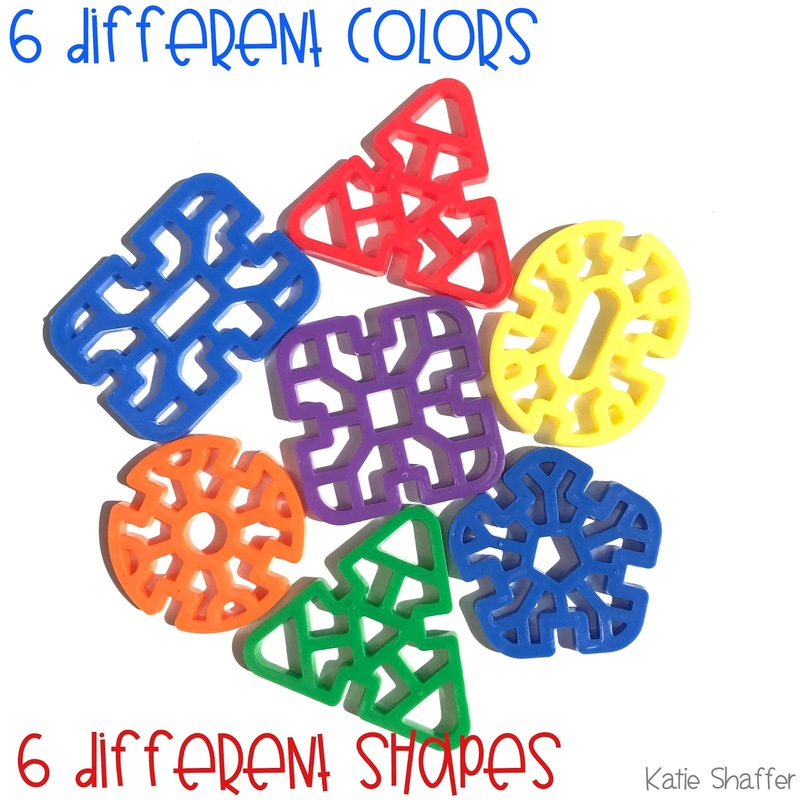 There are 6 different colors and 6 different shapes and 145 pieces come in the pack. Initially in the school year I am going to use these in my morning tubs. 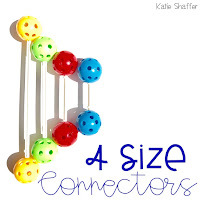 In kindergarten the students need something to do in the morning during arrival, so these connectors are a great way to get kids talking about shapes, colors and how to build different shapes. Not to mention, these are just a fun way for kids to learn & play simultaneously. When we get deeper into the year, I am going to use these in STEM challenges that the kids will go crazy for! 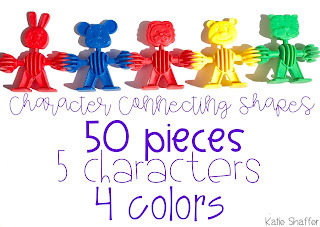 The next item I want to show ya'll are these super cute, adorable Character Connecting Shapes. These come with 50 animals per order! They can connect near their hands, stomach and even feet. There are many ways you can use these characters. 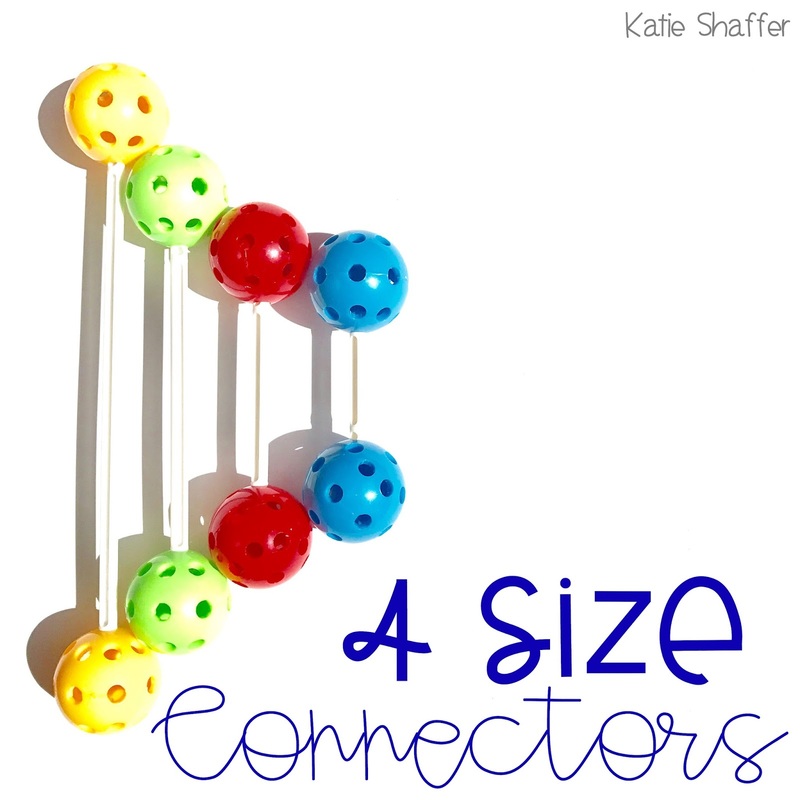 You can use them to teach patterns, colors, animals, balance and so much more. 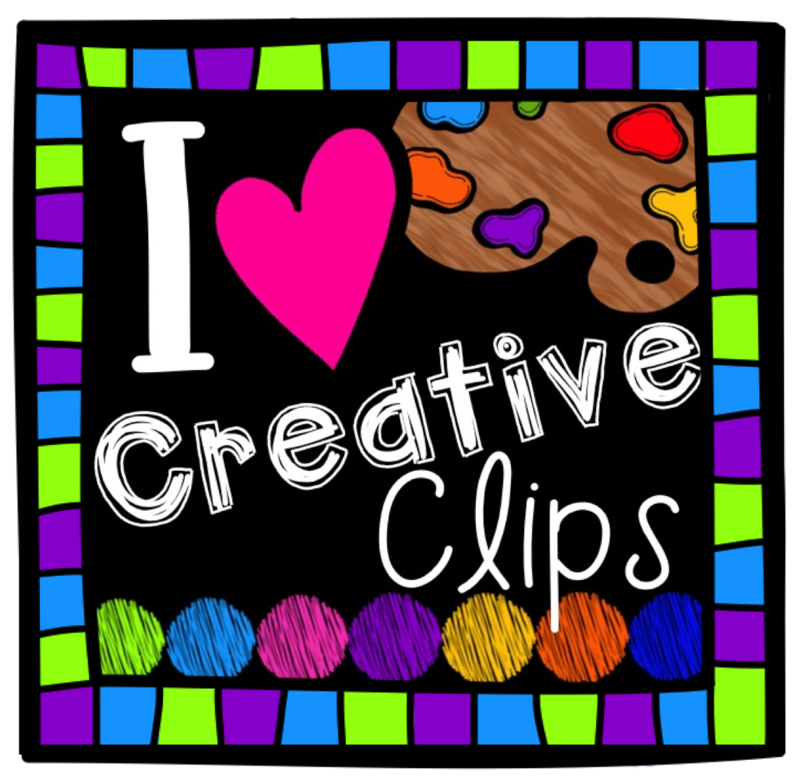 Again at the beginning of the year, I will use these in my morning work tubs, but as the year goes on I will get more creative with their use! 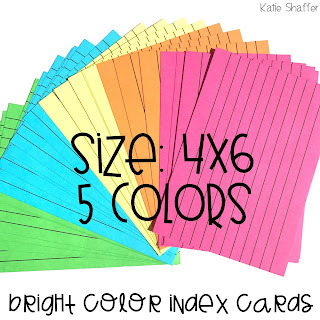 I am super excited to use these bright colors index cards as sight word rings. These cards come in packs of 100; I will attach two binder rings to the bottom of the cards and write one sight word on each card. 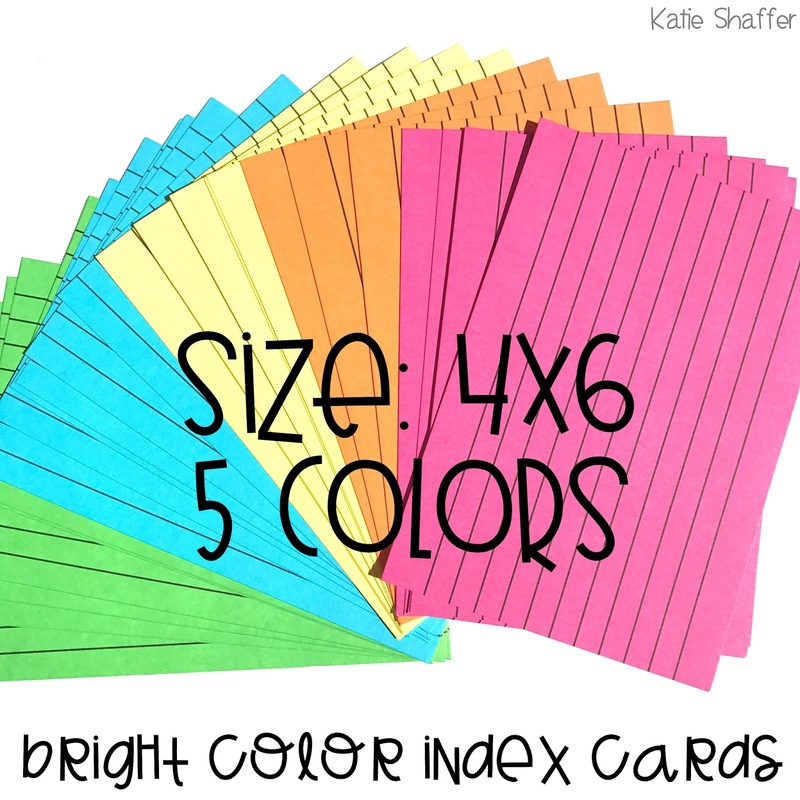 These are for initial sight word introduction as well as fluency practice small & whole group! eeeek, these are awesome and the kids are going to love them. These crayons are going to be a prized possession in my classroom and I will definitely be ordering more than just this one pack. I love that now I will have more options for every child in my class to draw a picture of themselves and have it resemble their own skin color. This is a must buy for all classrooms across the world! This next item, I am super excited about! There is so much that I can use these for, obviously these will be great in morning bins, but really these are amazing for all common core shape standards. Building shapes has always been the geometry standard I have struggled to fit into my lessons because I never had the supplies. How amazing is this? Now we can talk about how the balls represent the vertex and the white lines are the sides of the shapes. 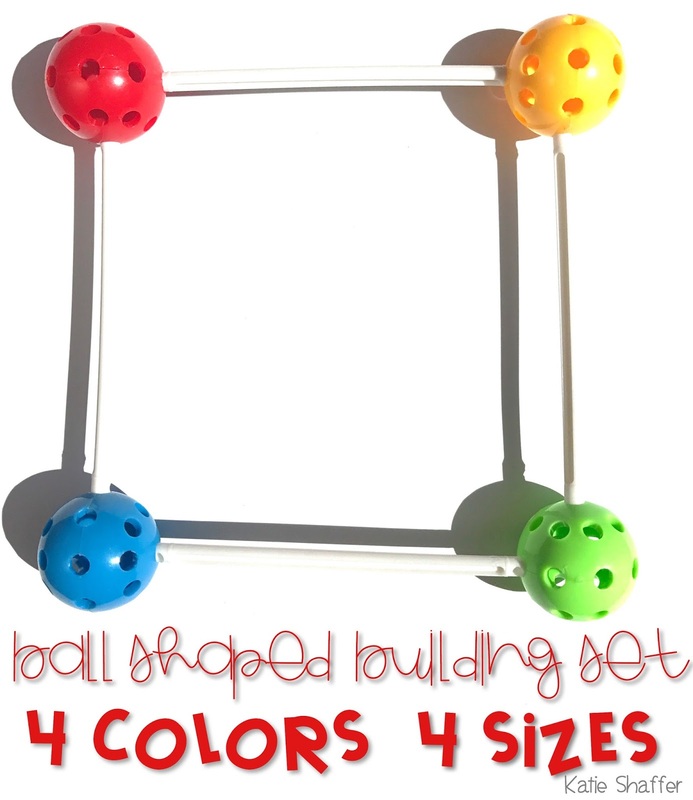 Students can build 2D & 3D shapes with this product. 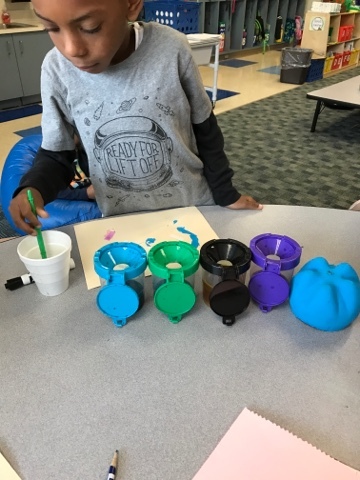 I will be honest that because the product is brand new, at times it is difficult to get the straws into the holes in the colored balls, but after the kids use them more, i'm sure they will be fine! 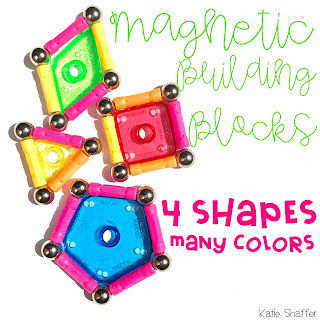 These Magnetic Building Blocks are another great way to incorporate geometry into any lesson. I am going to challenge my kids to build something 3D with this building type. 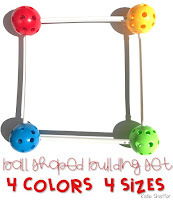 The sticks have small magnets on the ends, and the balls are magnetic. 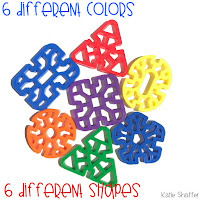 The solid shapes are plastic and not magnetic. These can be used for identifying & building shapes. 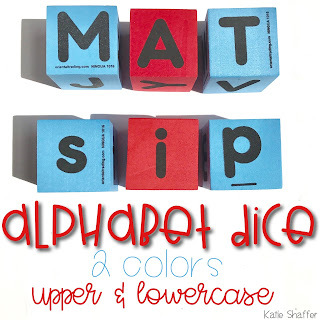 This product is potentially the one I am most excited about.These alphabet dice are going to be the perfect addition to my guided reading lesson plans. I will begin the year with using these for just letters and sounds, but then will move on to phoneme segmentation, nonsense words, magic e words, blends, digraphs.....the opportunities are endless. There are upper and lower case letters, as well as consonant dice (blue) and vowel dice (red). I am super excited for these! 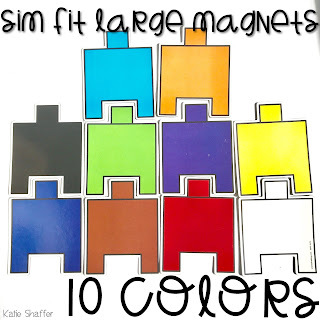 Last but not least, these large magnets are perfect for whole group demonstrations with counting, patterns, addition & subtraction. 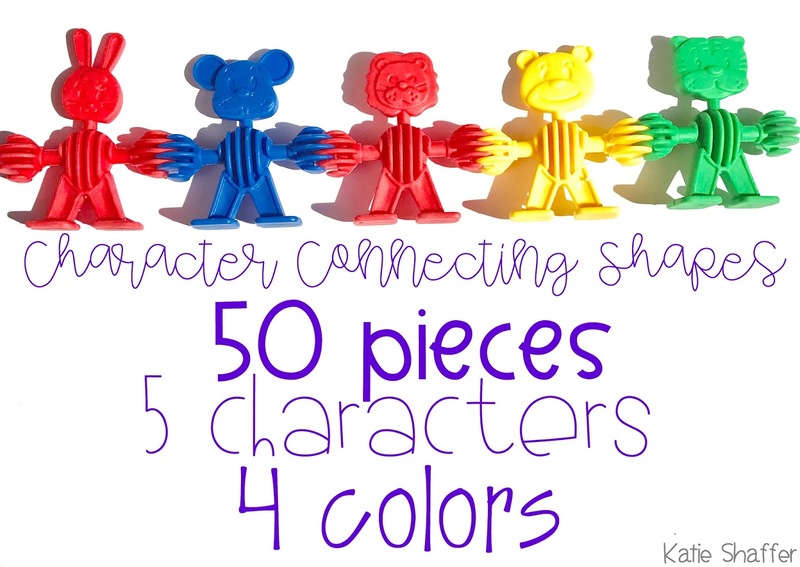 I will use these on the board while my kids have the actual cube manipulatives. 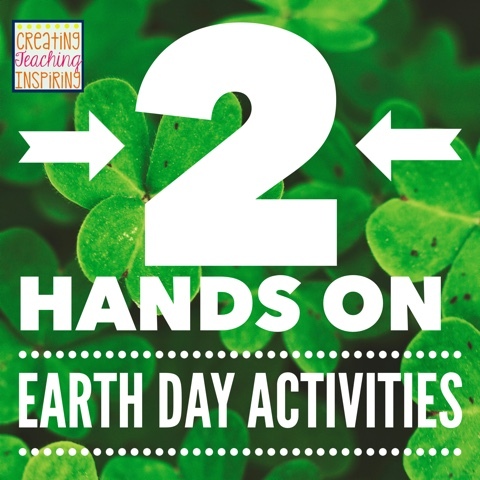 Then, these can be used in a center activity for the same topics. I love that there are 10 different colors! Have you ever ordered from Oriental Trading or Learn 365 for classroom materials? Let me know! 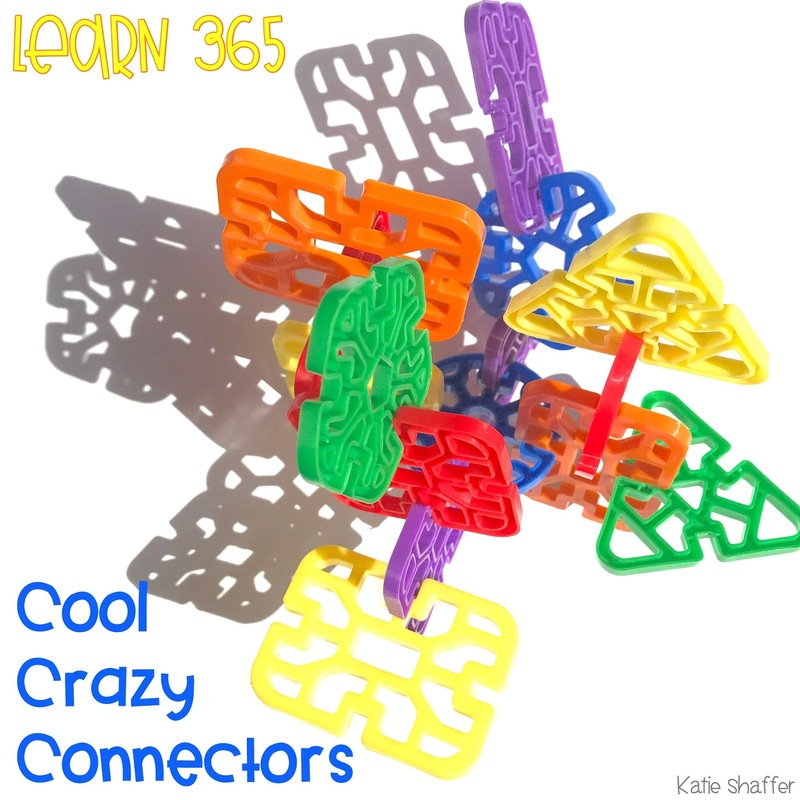 I know that this experience has opened my eyes to the amazing products available at Learn 365 for my students and myself as their teacher! Please Note: Oriental trading sent me these items to review free of charge. All opinions in this post are my own; I do not endorse products or companies that I don't believe in. Leadership Skills that can be applied to REAL LIFE! Leadership skills can be taught in the classroom but really need to be practiced is real life situations! That is exactly what I have done for two years in a row. At my school we teach leadership skills like shaking an adults hand and introducing your self, like being proactive, like putting first things first and getting your work done before playing, but for two years now, I have attended NCTIES (a statewide technology conference) with my kindergarten teaching bestie. NCTIES is the perfect place for kids to put their leadership to the test. 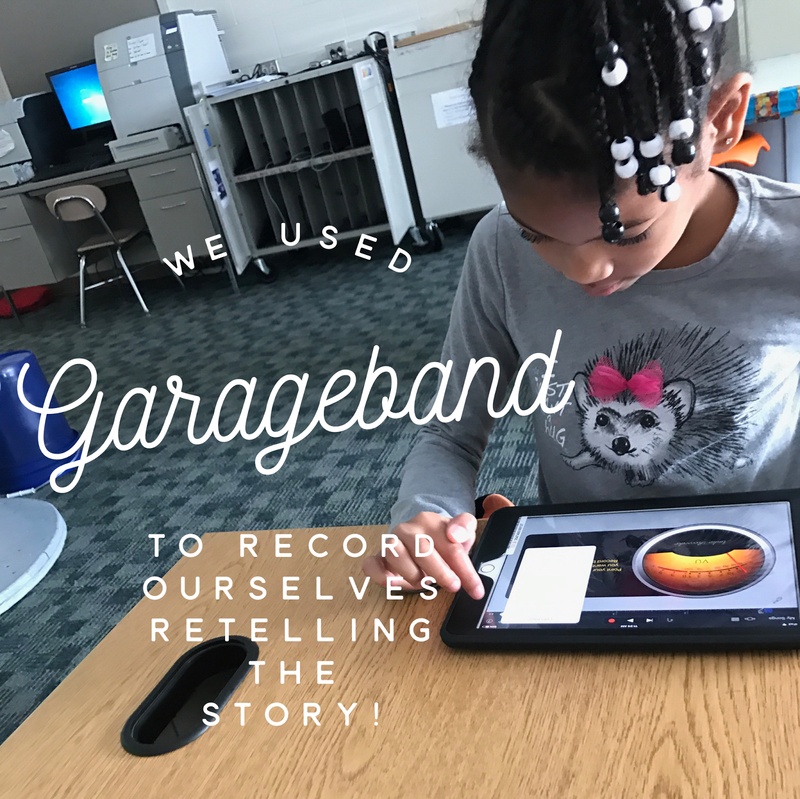 Back in October, my team Kindergarten Teacher Miss Carter and I, sat down with our technology facilitator, Miss Adams, and we brainstormed a project that would include our entire class, that would embody what we believe as educators and that would get the kids excited about learning! We know what is best for kids and we ALWAYS remembered that if we are doing WHAT IS RIGHT FOR KIDS, it is ALWAYS RIGHT! This year we came up with a project that attached to our standard of re telling a story, that engaged our students in learning and STEAM challenges, and allowed our kinder kids to be creative and think outside the box! We retold the story of The Three Little Pigs, but there was a twist and we created alternate endings to the story with recycled materials. Miss Carters class retold the story of Goldilocks & the 3 Bears. 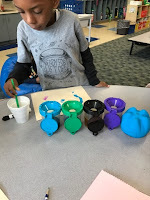 (Miss Carter's class completed this project in the same steps but with a different story) The kids got to be creative, and collaborate on their designs! Step 1: Complete the drawings to retell the actual story of The Three Little Pigs. Step 2: get brainstorming on the alternate endings and get to work! My students decided to create a gate to surround the first pigs house that had an alarm system, lock, camera and laser and water shooters to ward off the big bad wolf! We also made an alligator & poisonous carrot garden that would protect the stick house from being blown down! The last part of our recreating the ending of the three little pigs was the ice cream & cupcakes that the first and second little pigs made to bring to the third little pigs house as a dessert to eat after eating wolf soup! Seriously SO MUCH creativity. I am so proud of how my kids collaborated and respectfully communicated their ideas. Step 3: Record ourselves retelling the story of The Three Little Pigs and express our ideas of alternate endings! Step 4: Record ourselves playing musical instruments to put in the background of our final product to enhance our video. And BAM! 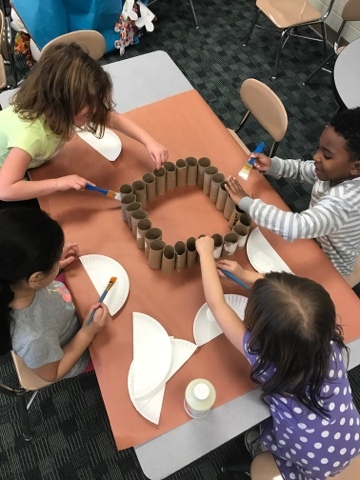 We have a collaborative project that we working through using our imaginations, attached our teaching standards, and allowed everyone to be a part of our final product! This experience will be a memory my kids will have for their entire life. This project was fun, and engaging for ALL students. This project reminded students they have something to share, they can be successful and they can be a part of something GREAT! Take a look at our Final Project! So after we finished our project, we brought it to NCTIES (a statewide technology conference) and got to bring all of our daily Leadership Skills that we practice to the conference and SHINE! And SHINE they DID! The support from previous administrators, from our tech facilitator and media coordinators past and present was so appreciated. Just a reminder: when you want to do a project and are feeling like its a huge undertaking....ask yourself one question: IS IT RIGHT FOR KIDS? and if your answer is yes, MAKE IT HAPPEN! The experience of this project will be a memory forever! 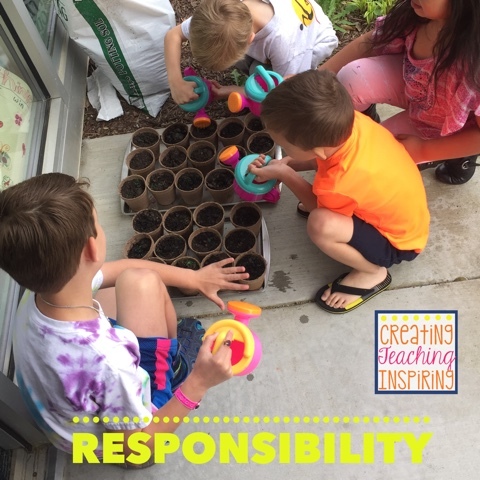 Kindergarten is truly my passion and I love to help children grow and learn, but recently I was able to tap into my second passion of helping teachers teach their kids using high expectations, urgency, intention and engaging methods. I went to Rupert Idaho with Jen Jones and Kami Butterfield, and was able to help teachers in the Minidoka School District! We had a blast, the teachers learned alot and many teachers were begging for more, so now they are following us all on social media and are excited to continue learning. I shared my management strategies in Rupert, so I figured I would share them here also! 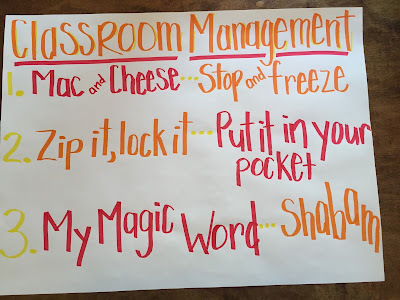 I wanted to share how I manage my classroom with success. I will be the first to tell you, IT ISN'T EASY! 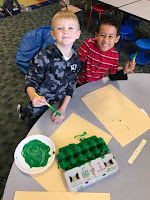 and it takes a lot of time, energy and patience, but students in kindergarten CAN complete independent activities, they CAN complete project based learning on the iPads, they CAN reach high expectations and they CAN leave my classroom reaching benchmarks, knowing their success and being proud of their growth! I use three different call and response strategies in my classroom. We practice them starting on the first day of school. I always start with the Mac and Cheese, Stop and Freeze next I say "where should your eyes be?" and my kids say "on you." This is my favorite strategy because honestly.... mac and cheese is my favorite food! haha. 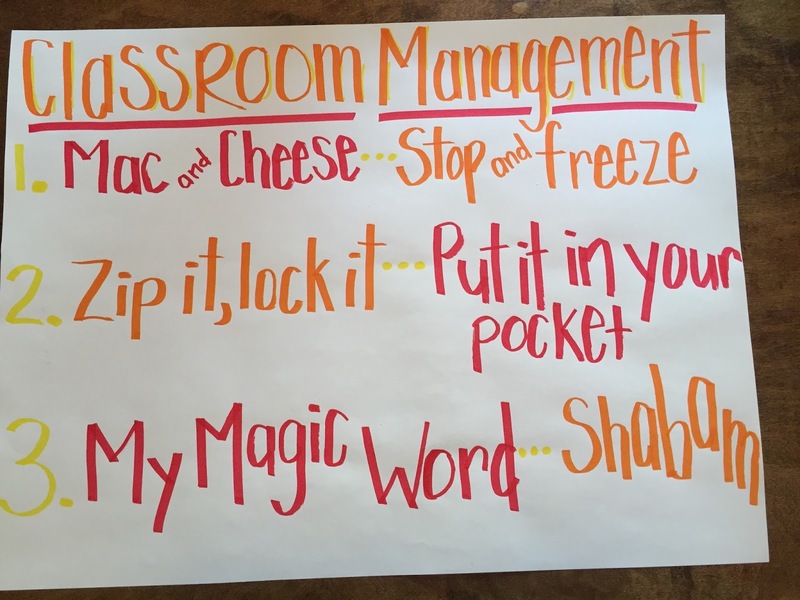 I just started using "zip it, lock it" "put it in your pocket" this year as a strategy to use if the classroom is getting a little noisy in the classroom. And this year I also added a magical word. For some reason this year, I would be in the middle of giving directions and half of my class would be walking off the carpet ready to get started..... on what, I have no idea, because I hadn't finished giving directions! haha. So I created the word SHABAM, and when I say it, the kids can leave the carpet and begin working. If you're looking for a video on how this works in my classroom? 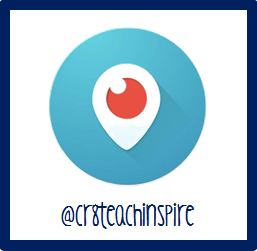 I recorded for the iteachtvnetwork, click the link and you can enjoy the video! This year I really encouraged my students to get excited about Earth Day. We watched so many different videos and did different activities in the short week that we had this week. 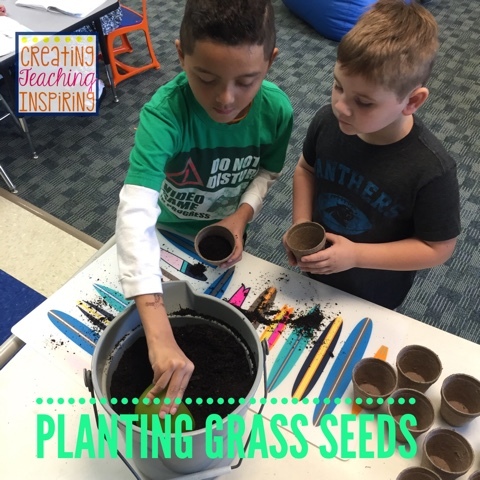 We came back to school on Wednesday from a three week track out because we are a year-round school and the kids were so excited to come back and have activity-based learning during literacy. 2. The second activity really taps into having students create and show you proficiency through each student creating a product. 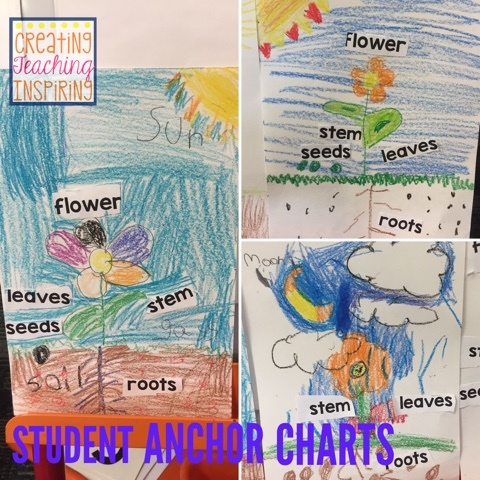 After teaching the mini lesson of all the parts of a plant and what to plant needs to grow, the students got to make mini anchor charts themselves. They were given crayons, half of a sheet of paper and labels to cut and glue onto their poster! The product of their learning has lasting effects compared to giving them a worksheet and just labeling it! Allowing students to really take control of their learning is what it's all about!!! 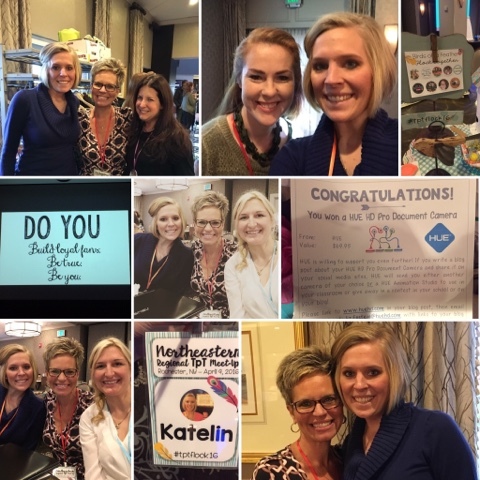 This past weekend I met up with some amazing TPT sellers and phenomenal key speakers and excellent business women in their niche market. 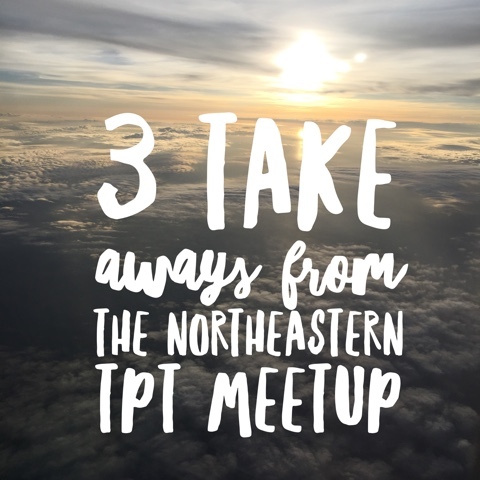 The northeastern TPT meet up had absolutely amazing professional development that was provided along with a great opportunity to network with other TPT sellers was an experience I will never forget. 1. First impressions are crucial and often permanent. 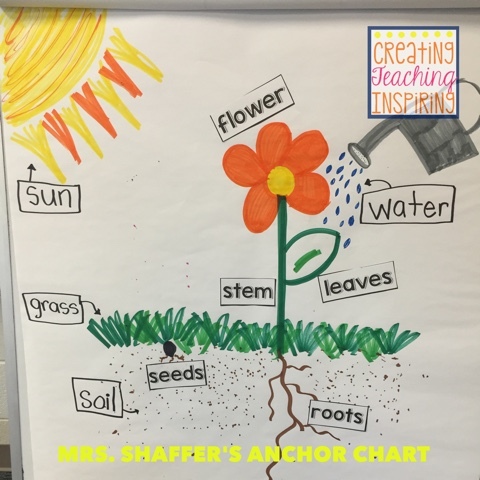 This was explained in one of the professional development sessions where they talked about different images and ways to create covers on products and resources. But it also has to do with when you're first introducing yourself to someone or meeting someone for the first time. First impressions will change how someone sees you and what opportunities are provided to you in the future. I had the opportunity to speak with Jillian from the TPT New York offices and it was an absolute blast. Jen Jones was the one to introduce me to her and now she is coming down to my kindergarten classroom to visit. My first impression of her was that she is a down-to-earth girl that just wants to provide an amazing experience for teacher sellers and entrepreneurs. I can't wait to meet up with her again! My second take away from this conference is that even being a seller you need to help your customers and colleagues solve a problem. Working to solve a problem for others, you really need to remember to treat them with kindness and see things from their perspective. Always listen and begin to understand their point of view. Repeat customers will come when you are consistently solving a problem for them and making them feel heard. I'm going to leave off number two with a quote that my mom told me every day before I left for school "be a good friend, and a good listener". 3. Everyone has an expertise and everyone has their journey. Just because your journey is different from another's does not mean you're not on the right track for you. Do what's best for you and your family, continue your journey and become successful in your own time. Allow others to help you and teacherpreneurs are the most helpful kind and willing to help people. It's all about your journey; be you, and true to yourself! The northeastern TPT meet up was an absolutely amazing weekend. I thank all of the organizers and presenters. I learned so much and had a blast meeting new people. I can't wait for next year!!!! 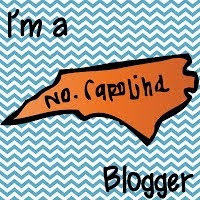 Maybe I will have to create a meet up in North Carolina for next year... That would be a blast!!! Parent Communication is crucial in the success off students in your classroom! When parents and teachers are on the same page it creates an environment for success for the child. Teachers should document conversations with parents in order to stay professional, hold themselves accountable, and remind themselves of past conversations. This log will help you stay organized. 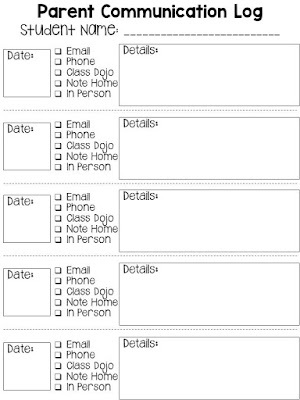 Print one for each child, and start documenting! 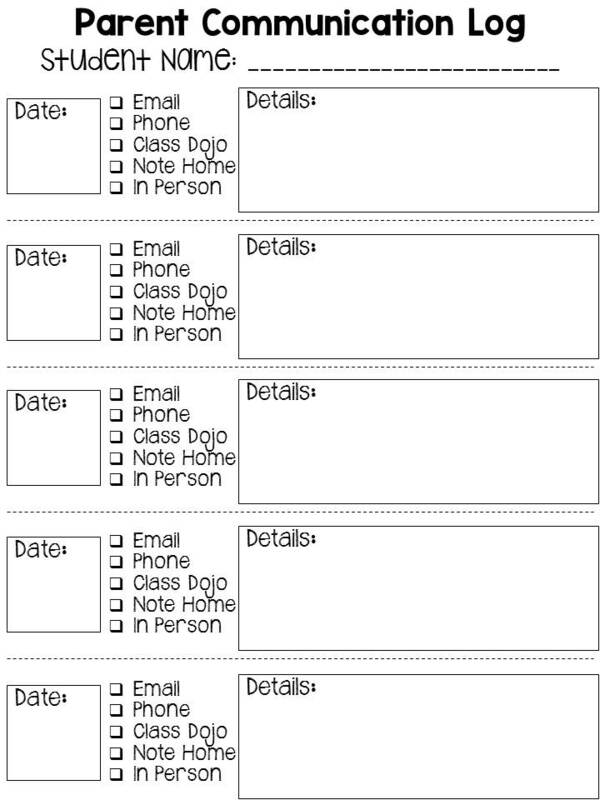 This Dropbox Link will bring you right to my parent communication log.